According to a poll of horse lovers, ten breeds or types of equine creatures were found to be fan favorites. For the purposes of the poll, horses were scientifically classified as members of Equus ferus caballus that generally mature to be 14.2 hands (58 inches or 150 cm) or taller. Ponies were classified as members of Equus caballus that mature at less than 14.2 hands. Check to see if one of your all-time favorite breeds or horse types make the list. In the first place, with 20 percent of the vote, is the American quarter horse. Well known for its agility, docility, and athleticism, these horses are well respected by beginners and professionals alike. They can star on the trail or in the show ring. The American quarter horse has the largest breed registry in the world and the horses are enjoyed globally. In second place was the Arabian or mixed Arab breed with 14 percent of the vote. Arabians may not be the ideal first horse, although there are always exceptions to the rule, and many beginners started out riding Arabs or part Arabs. The Arabian breed registry is the oldest breed registry in the world. Every light horse breed can trace their ancestry back to the Arabian. Following close behind the Arabian, in third place with 13 percent of voters in agreement, is the thoroughbred. Thoroughbreds might not be everyone’s cup of tea, but some are suitable for beginners. Many track-racing horses find second careers as riding and driving horses both in competitive disciplines such as dressage and jumping and as pleasure horses for backyard riding. The colorful, spotted Appaloosas comes in a close fourth with about 9 percent of the vote. This horse was originally developed by the horse nation of the Nez Perce Native Americans. This popular breed has recovered from near extinction by a few dedicated breeders. Hardy, with brilliant coat patterns, few people can disregard the appeal of these horses. 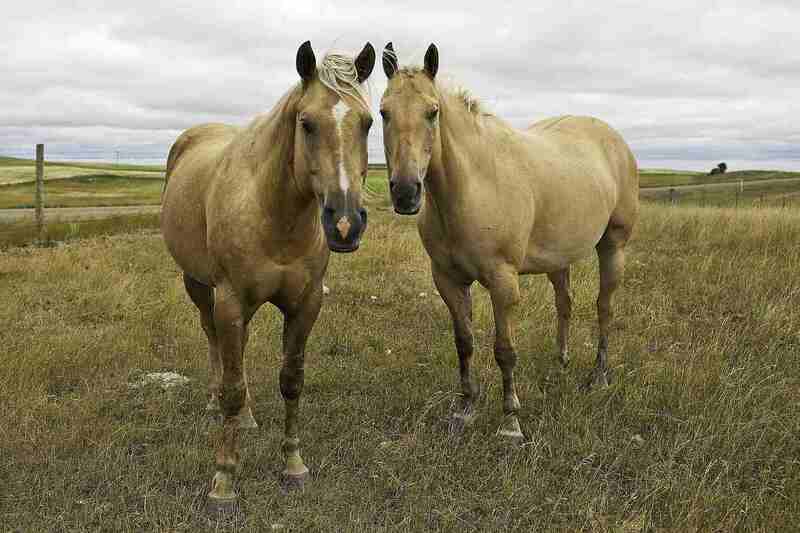 It is believed to be a descendant of wild horses with thoroughbred, American quarter horse, and Arabian mixed in. Although the quarter horse and many other light horse breeds are actually warmbloods—Hanovarians, Trakehners, Cleveland bays, Canadians, and Belgian warmbloods were found to be the fifth most popular. Many of the European breeds were bred for the battlefield and tend to be larger boned and have more of a phlegmatic temperament than many light horse breeds. Coming in sixth place were ponies like the plucky Shetland and the more elegant Welsh ponies. As children, many people may have learned to ride on ponies for their shorter stature. Shorter horses seem less intimidating since there is a shorter distance to fall. The Morgan, with its strength, elegance, and history is as much a popular breed as it is a cultural icon. The official horse breed of Vermont, the Morgan horse used its muscle for clearing and tilling New England farms during the earliest years of American history. Today, it is a popular driving and riding horse. It is surefooted over a rough trail as it is refined and dignified in the show ring. The Morgan was the seventh most popular horse. Grade horses—horses of no particular or known breeding are the eighth most popular horse. Many people who have been riding for a while may have a favorite grade horse in their riding histories. Grade horses, even though they do not have a distinguished pedigree, can do everything any other horse can do and many make ideal beginner horses. Coming in at number nine are gaited breeds. Gaited horses are horse breeds that have been selectively bred for natural gaited tendencies, that is, the ability to perform a smoother ride referred to as ambling gaits. Breeds like the Tennessee walker and Kentucky mountain saddle horse are popular choices for older riders who have problems with knees and backs and are looking for a bounce-free pleasure ride. Ranking tenth is draft breeds. The Clydesdale horse, the Percheron, and other heavy horse breeds are the gentle giants of the horse world. Draft crosses can make ideal first horses as they are often docile and gentle.